When I first came to the US, I kept ordering “mineral water” at restaurants and I would often get funny looks. I didn’t know that it is more common to say bottled water. In Brazil, we say mineral water. I also used to ask my water with gas or without gas. I wasn’t very successful with that request. Then I learned to say sparkling or still. 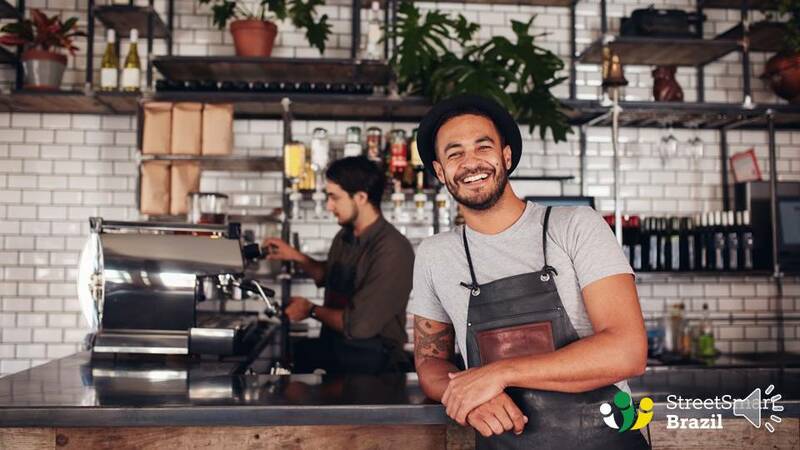 Today I will show you useful words and phrases to order your soft drink in Brazil, so you don’t have to go through what I did here in the US. We don’t have the habit to drink tap water in Brazil. I think the water is not treated for that. Or maybe we don’t trust the plumbing. The fact is that we don’t drink tap water. When you go to a restaurant in the US, the first thing your server does is to bring you water. They use tap water for that, right? Because in Brazil we don’t drink – and don’t serve – tap water, you will not get your free water at any restaurant. Uma água mineral, por favor. = One bottled water, please. Uma água, por favor. = One water, please. Uma água com gás. = One bottled water, sparkling. Duas águas sem gás. = Two bottled waters, still. With ice or No Ice? Com gelo. = With ice. Sem gelo. = Without ice. The word for soda is: refrigerante. It’s a masculine noun. Definitely try Guaraná (learn pronunciation in the video)! Guaraná is a climbing plant native to the Amazon and especially common in Brazil. The Guaraná berries are brown to red in color and are rich in caffeine. It fact, they have as much caffeine as coffee. Guaraná is a masculine noun. You will hear some Brazilians using Guaraná as a feminine noun, but that is not correct. You will also find Guaraná diet and zero. To order with ice, use the same vocabulary from the water section above. To order your juices, visit my online, free flashcards on fruits in Portuguese, including Brazilian fruits that you must try in Brazil. Learning some Portuguese before you go to Brazil will help you navigate the country with ease and get the most out of your trip! 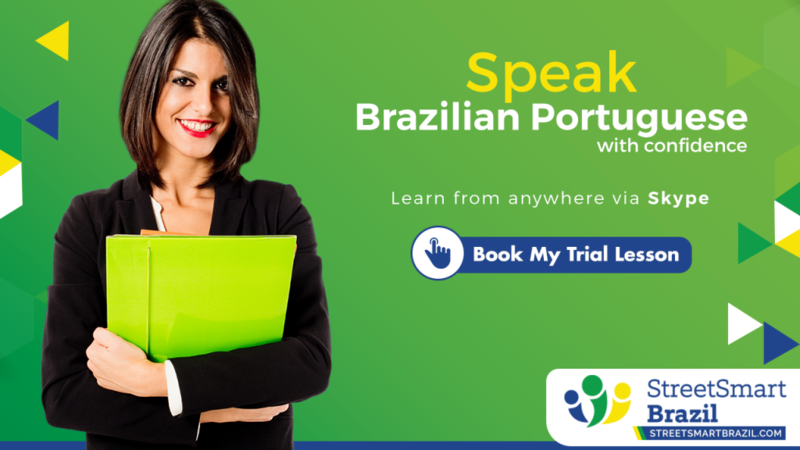 Street Smart Brazil offers Brazilian Portuguese lessons via Skype. It’s a simple, convenient, and highly effective way to learn Portuguese. Choose your lesson here. This article was originally posted in February 2009 and has been updated to include additional examples and the video lesson.